To coincide with the new phones, it seems that publishers and developers have really brought their A games and we have an excellent crop of new games this week. Starting off our coverage is Land Sliders from the recently formed studio, Prettygreat, started by three former top-tier Halfbrick employees. It is a high-scoring game with adorable graphics, in which you attempt to collect all of the specified items from a level while avoiding enemies like hungry bears and angry cacti and basically just trying to keep from fall off the edge into water or some other hazard. Eventually moving on to increasingly more difficult levels, trying to earn the highest possible score. 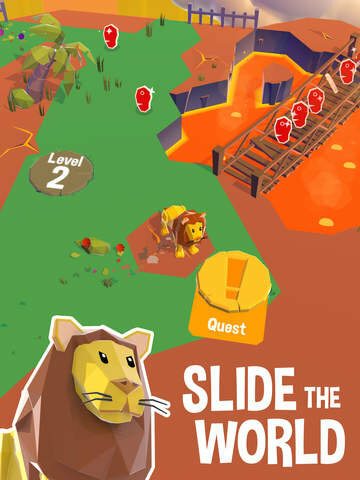 It features a unique control mechanic whereby you actually touch and slide the land to move your character around (thus the name of the game) giving the movement in this game a real smoothness and sense of fluidity almost like using a trackball. The game is really charming and has the unlockable characters (51 at the moment) and that one-more-play addictiveness if you have friends to compete with on the leaderboards. Electronic Arts returns to the pitch with FIFA 16 Ultimate Team™, a quick playing mobile version of the FIFA franchise which allows players to build and manage their own fantasy teams from an impressive selection of over 10,000 players across over 500 licensed teams. Though this is somewhat restricted as you have to acquire cards to add players to your roster. 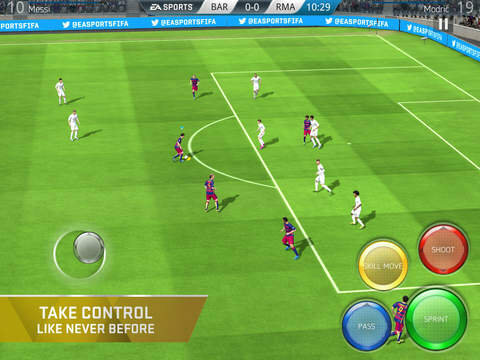 While challenging, the game is still friendly enough for new players, so you might as well hit the field and start kicking, passing and scoring and celebrating those victories. The first release from Marvel Puzzle Quest creators Demiurge Studios, since their acquisition by SEGA earlier this year, Puzzle & Glory is a strategic free-to-play RPG match-3 game set in a dynamic fantasy world complete with daily and weekly dungeons. Carefully assemble your team of heroes (Dragons, Knights, Hunters, Elves, etc) and do battle in both PVP and guild-based gameplay. Demiurge did a rather nice job with Marvel Puzzle Quest, throwing a lot of support and new content into it over time, so I would expect this one to follow a similar path. 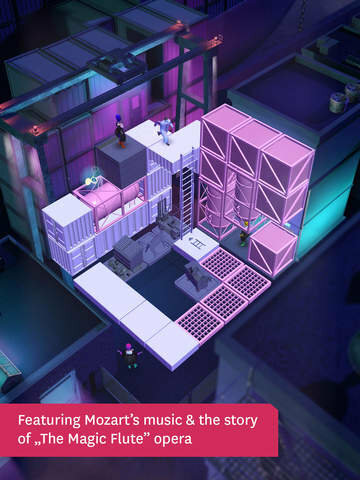 One of this week’s pleasant surprises is a new 3D spacial puzzle game called Magic Flute by Mozart. It is slightly reminiscent of SQUARE ENIX’s “GO” series of games. Set in Mozart’s classic two act opera, players take on the role of prince Tamino as he is being relentlessly pursued by a giant serpent. Slide blocks both horizontally and vertically to form paths for Tamino to escape being the big snake’s next meal. The game is 50% off at launch and well worth your consideration. A big departure from Simogo’s usual offerings, SPL-T is a very minimalistic puzzle game where you are splitting the screen both horizontally and vertically trying to earn the highest score possible before running out of moves. Eventually split sections will time out and clear, giving you more space to work with. There is a bit of a learning curve, but once you ‘get it’, the game offers a nice little bit of strategy. There is a lack of global leaderboards and the aesthetics are perhaps a little too stark in this one, but it is still quite interesting. 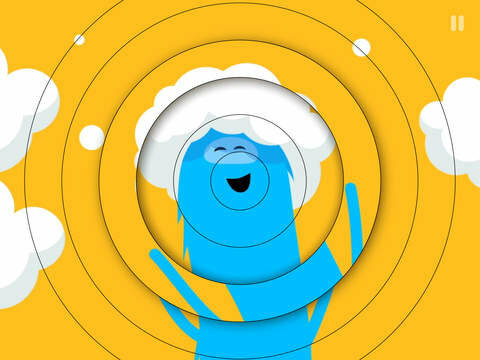 AZZL is a really cute, language-free animated puzzle game in which you try to rotate, swap and/or slide the constantly animated pieces around into their correct order so that a humorous little cartoon starring some adorable cartoon monsters plays out. It is a neat way to tackle the “jigsaw” puzzle genre, because you really have pay close attention to each individual segment as it animates to know where (or what orientation it needs to be in). The app is broken up into a series small worlds, each with their own unique puzzle solving mechanic. My almost 6 year-old struggled a little with some of the larger piece count puzzles, so we did those together, but she absolutely loved the crazy animations. This one will appeal to jigsaw fans of any age and if you have any Minions or Barbapapa fans in your house, I think they’ll especially enjoy the humor of the animations. Divide By Sheep and Fearless Fantasy creator tinyBuild returns this week with Snail Bob 2. It is a physics puzzle game where players try to help Bob the snail navigate some dangerous obstacles and ‘ avoid bug baddies’, by controlling his movement to systematically activate various levers and buttons as well as collecting stars and missing puzzle pieces. 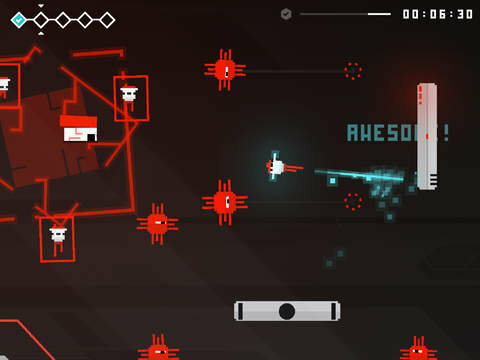 Perhaps Laser Dog’s best title to date, HoPiKo is a challenging new speed run platformer where players jump from platform to platform “avoiding death, exploiting shortcuts and ripping through 100s of hand-crafted levels”. One particularly interesting aspect of the game is the way they’ve chunked the levels into 5-stage mini runs, where a death in any one of them, sends you back to the start of the mini run. Combine this with the constant sense of urgency due to the running clock and platforms which can disappear at any moment and HoPiKo makes for an excellent new offering for twitch gamers. Highly Recommend! Wadjet Eye Games’ latest iOS port, Blackwell 4: Deception. The fourth game in their five-part retro point and click Blackwell series which follows the adventures of a spirit medium named Rosa Blackwell and her 1930s-era wisecracking, spectral sidekick Joey Mallone. I haven’t had a chance to dive into this one yet, but this has been a great series thus far, so I am excited to see where Wadjet Eye takes this story. All too often mobile games made from (or for) internet celebrities can be underdeveloped, or uninspired quick money grabs, but that is most certainly NOT the case with PewDiePie: Legend of the Brofist. This is a polished and super-fun NES/Sega Master System-era platformer kind of like Alex Kidd or Mega Man, complete with classic style boss battles. Players take control a YouTuber (PewDiePie at first but other celebs are unlockable) and fight evil containers as they try to get their fans back. 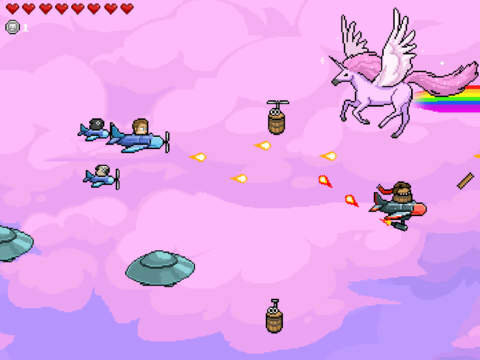 The game features solid gameplay, an infectious chiptunes soundtrack and voicework by popular YouTubers. The game is absolutely outrageous and hilarious and offers a great nostalgic feel, but at the sane time fresh and original. An excellent surprise, Brofist offers as much fan service to children of the golden days of NES platformers as it does to the YouTube generation. 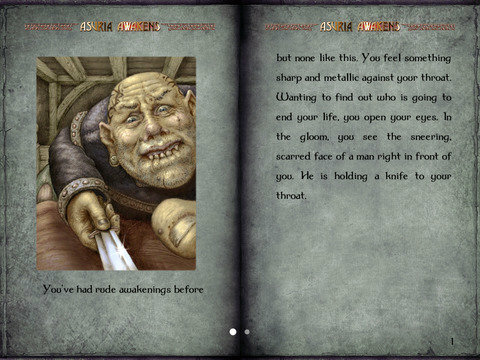 Finally that brings us to Tin Man Games, who launched not one, but two new Gamebook Adventures titles. First in Gamebook Adventures 11: Songs of the Mystics you’ll take on the role of the daughter of the Earth Queen (and leader of the Mystics). There is a nefarious plot to end your life and you must use your newly discovered magical abilities to “escape from your predestined fate”. Then Gamebook Adventures 12: Asuria Awakens takes players to the remote Orlandrian coastal town of Casporur where they must investigate the disappearance of an emissary from Orlandes City. And that will do it for this week, plenty of great games to choose from.